The Honourable Darrell Dexter, former Premier of Nova Scotia, joined Global Public Affairs as Vice Chair in September 2015. As Vice Chair, Darrell is a senior member of the Global team, working with our firm’s public affairs experts across the country on a range of client matters and business development initiatives.Darrell assumed the leadership of the Nova Scotia New Democratic Party (NDP) in 2001 and led it to form the first-ever provincial NDP government in Atlantic Canada, becoming the 27th Premier of Nova Scotia. As Premier, he earned praise for controlling spending, launching a renewable energy strategy, and reducing small business taxes. Darrell oversaw ambitious new environmental policies and was presented with a Climate Leadership in Canada award at the 2009 UN Climate Change Conference in Copenhagen. 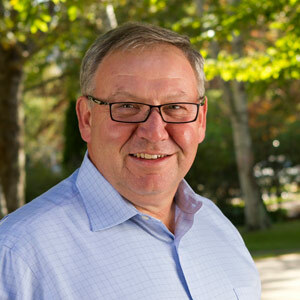 As Chair of the Council of the Federation from 2012-13, Darrell worked on key initiatives such as leading an economic trade mission to China, establishing the Pan-Canadian Pharmaceutical Alliance, and improving the flow of inter-provincial trade.